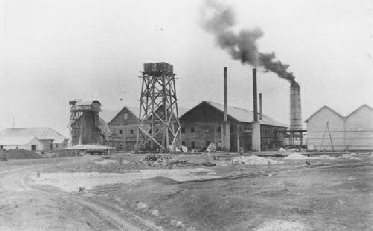 By 1880, Bundaberg had 6 sugar mills in operation – Millbank, Woondooma, Shanon, Waterview, Branyan and Cuba. None, however, could match the impact of a refinery for restoring the flagging confidence in the region. A number of juice mills were ready when Millaquin began operations. These included Ashgrove, Avoca, Fairymead, Glenmorris, Grange, Kepnock, Mabbro, Summerville, Windermere and Woodbine. In 1883 these were joined by Hummock, Oakwood and Spring Hill, followed in the next couple of years by Seaview, Mon Repos, Sunnyside and Woodlands. From 1882 to 1884 a total of 24 cane crushing mills were erected in the Bundaberg district. Bundaberg, in 1881, had supplied a mere 3% of the entire Queensland crop. In only two years time (1883), Bundaberg had established itself as one of the leading sugar cane centres, supplying more then 1/5th of the ENTIRE colony's sugar output. With this surge of production, a new problem arose. What to do with so much molasses? 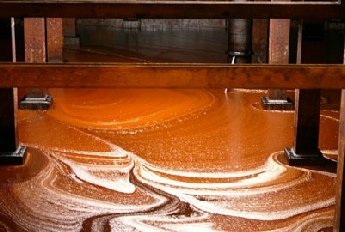 In the process of sugar-making, a waste product called molasses, (a thick brown, viscous liquid) is left over. Some uses for the molasses had been using it as stockfeed and fertiliser, however these solutions were not viable on a large scale for a few reasons. Most of the molasses was wasted by being pumped straight into the Burnett River. Something had to be done to utilise this material.